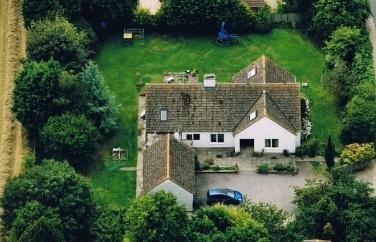 The Sanctuary is on a flat and level site with easy access to the house and garden. From the car parking area at the front of the house, it is a short distance to the front door area (c.10 metres). There is one small step upto the front door. All the rooms open to guests are on the ground floor. From the front door, to bedrooms, the dining room and lounge, it is completely level. Inside the house, there are no steps to negotiate. Between the lounge and conservatory there is one step. Throughout the house, the minimum doorway width is 72cm (28 inches).